New Year house parties are always chick. So you have made up your mind to host a cool party to bring in the New Year with your squad. Of course it will be a great fun to welcome all your loved ones at your place and ring in the New Year in high spirits but managing all the party stuff like decorations, music, themes, activities and food etc. can be a tricky task for you. No! We are not meant to make you baffle or puzzled, but instead we have got you some of the coolest tips to rock the New Year’s Eve party. So friends put your dancing shoes on as these tips will help you host a fabulous and hard to forget New Year party. Get an attractive ambiance – New Year party success depends much on the ambience and decorations as well. Set the perfect party tone that is comfortable yet so energetic. Decorate the area with colorful lights and sparklers to match up to the New Year’s theme. Keep the space available for the dance floor leaving all the unnecessary objects outside. Set a theme – There is always fun in organizing theme parties. It is more fun that way. You can also choose a theme for your NYE party. Color code, masks, shades etc. there is a huge variety to pick from. Picking a theme will also excite your guests. Your friends will also love to welcome the New Year in a slight different way this time. Shop the much needed party accessories. Arrange plenty of activities – As New Year parties tend to be celebrated for a longer span of time, you must plan some entertaining activities like cards, spin the bottle etc. Such activities keep the guests engaged for a longer time without a feel of boredom. Knowing each other’s New Year resolution can also add up the cheer and humor to the party. Order the delicious food – Food and drinks are the most essential part of a New Year’s Eve party. Ask all your friends about their choice and preferences in food and drinks before ordering all according to your taste and like. Keep the food and drinks reachable so that everyone can have them at regular intervals. Say yes to groovy music – No New Year’s Eve party is considered to be a success without music and dance. Arrange the best dance numbers and tunes so that you and your squad can get boogie on and dance all night. Remember to choose the songs as per their choice as well, so make it all prepare and available in advance. Photos and more photos – Since you have organized such a cool New Year party so photos are must. Don’t skip to capture the moment. Click all the pictures with your friends, dance, food and decorations. Sharing your fabulous NYE party on social media is also a great idea. A perfect gift for all – If you want to take your NYE party a notch higher, you can gift your friends a small present. They will cheer this gesture forever and remember this party for a really long time. Even a small card can make their evening special. All these tips will let you set a wonderful New Year’s Eve party that your friends can never forget. It is the high time to be in the festive mood. So don’t waste much time and start preparing soon. 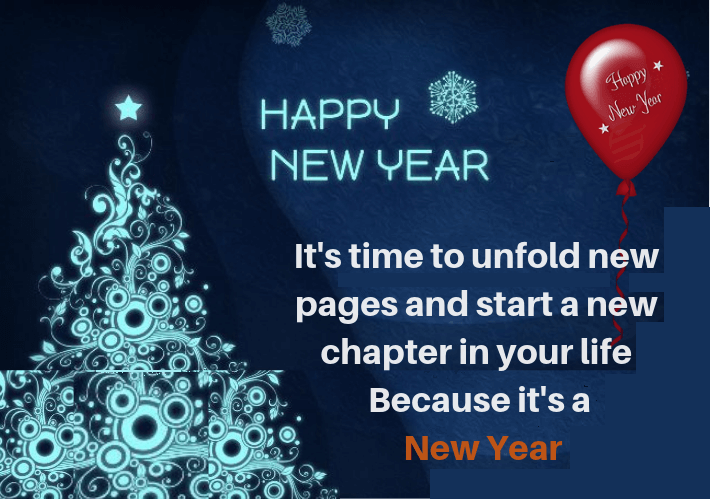 Wishing you a great New Year with all the cheer and fun.